Welcome to Quality Heating & Air Conditioning, the most trusted name in furnace repair and Air Conditioner (AC) Repair in the Bowmanville, ON area. If you are experiencing heating or cooling malfunctions, our technicians have the experience to diagnose and remedy your problem. If your furnace, boiler, air conditioner or heat pump is not keeping you comfortable during weather extremes, it could be time to call us to the rescue. Your get a comprehensive diagnosis for a reasonable price upfront. No hidden fees. We promise. Available – When you have an emergency, you need us NOW. We are on the way to service your emergency repair. Considerate – We know an emergency is a hassle. We don’t want to add to that headache. We will be on time and we will clean up after ourselves. You will never know we were here — except that your system will be operating properly after we leave! Experienced – You get years of experience with all systems with each service call we make. WE ARE SO CONFIDENT OF OUR SERVICES THAT OUR SERVICES ARE GUARANTEED – YOUR 100% SATISFACTION. WE GUARANTEE IT! 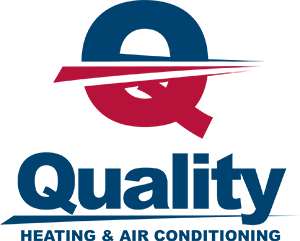 The experts at Quality Heating & Air Conditioning have been dedicated to offering the area’s most reliable heating and cooling service experience for a long time. We know you have plenty of choices for your AC repairs and furnace repairs in the Bowmanville, ON area, but we offer something they don’t. There is a reason homeowners have come to us for years. We pledge that you will not find another company as committed to their customers as we are. 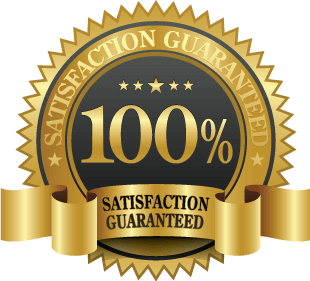 We are very serious about our 100% guarantee. If you are happy, we are happy. Very simple. We have a proven track record in the area. You want someone who is part of your community, someone who will take responsibility and not be here today, gone tomorrow. We are here to stay. And we hire the best technicians in the business. Our technicians come to each and every service call with years of experience with all makes and models under their belts. Our heating and cooling pros are committed to finding a way to ensuring your satisfaction each step of the way. We understand that emergencies can be a headache. Trust our experts to make sure that any furnace repair or Air Conditioner (AC) Repair that we make in the Bowmanville, Ontario area is backed by our guarantee of service and a team of the industry’s most devoted professionals around. Whenever possible, we will make repairs to get you back to your life in comfort, If a repair cannot be made, or if the cost of the repair is not practical for an older system that might be critically outdated, our technicians have a wealth of knowledge about new, up-to-date energy efficient systems that will make your life easier. Heating and cooling systems have a life span and often as they get older, they fall into chronic disrepair. We will consult with you and make recommendations to ensure that we are installing the best system for your home and budget. We will not leave you out in the cold. In the Bowmanville area, if a furnace repair or an AC repair will do the trick, we will do it quickly and reasonably. If your system is older, has come to the end of its life and a new system is required, we will offer you the best fit for your situation and will be there every step of the way to answer all your questions and concerns. We at Quality Heating & Air Conditioning want to save the day! Let Quality Heating & Air Conditioning be your heating and cooling superheroes in the Bowmanville area. Call us to the rescue for all your temperature control needs. Call Quality Heating & Air Conditioning the next time you need an air conditioning or heating pro. Let us be your climate control superheroes!